The cat’s out of the bag! CasinoJefe has just released their CasinoJefe August 2018 Promotional Calendar for this month, and it has some fantastic promotional offers just for you. 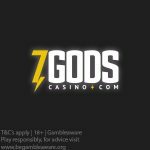 There are tons of Super Spins, Free Spins, cash prizes, and even major cash prizes of €5000 up for grabs. Make sure that you check out our CasinoJefe August 2018 Promotional Calendar below to see what you can get your hands on! Deposit your first €50 today and get 10 Super Spins on the Viking RuneCraft Slot. Deposit your second €50 today and get 15 Super Spins on the Viking RuneCraft Slot. Deposit your third €50 today and get 25 Super Spins on the Viking RuneCraft Slot. For every €50 deposited today at CasinoJefe, players can spin the Jefe Jackpot Wheel once. 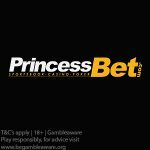 Stand a chance to win free spins, cash prizes, and even a major cash prize of €5000! All players are eligible to take part in this promotion. Make any deposit at CasinoJefe today to get 20 Free Spins on the latest Play ‘n Go slot, Rise of Olympus. Not yet a member at CasinoJefe? New players at CasinoJefe are eligible to claim 11 Real Cash No Deposit Free Spins after registration by using our special links. CasinoJefe offers wager-free spins, so spin, win, and withdraw! Click here to read the full CasinoJefe Review. 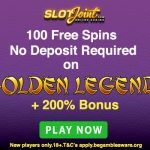 Posted in CasinoJefe and tagged August 2018 offers, CasinoJefe, No Deposit Free Spins. 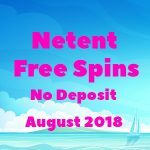 ← Netent No Deposit Free Spins August 2018 now available!